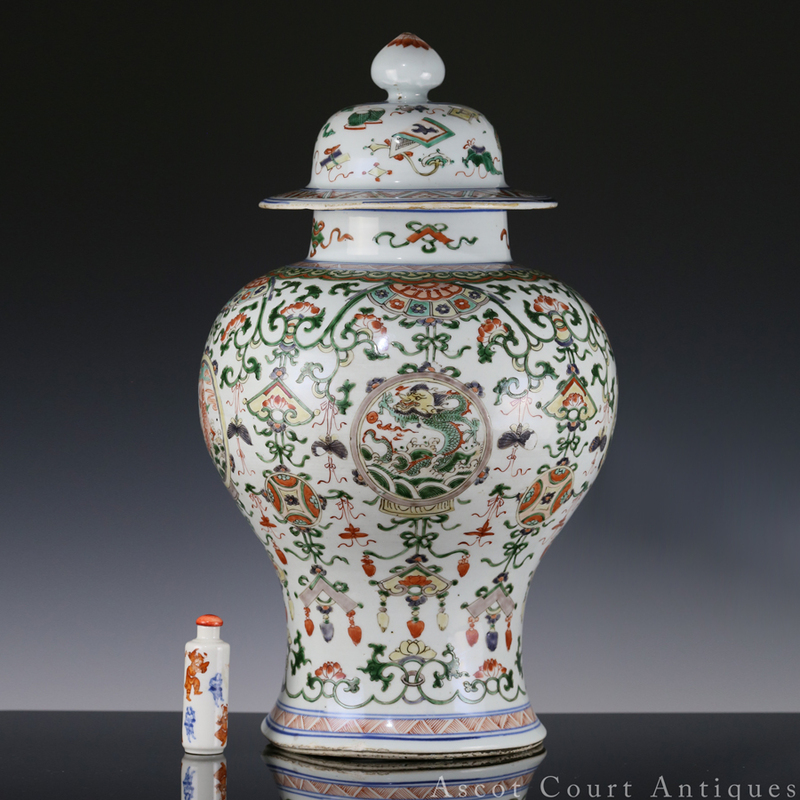 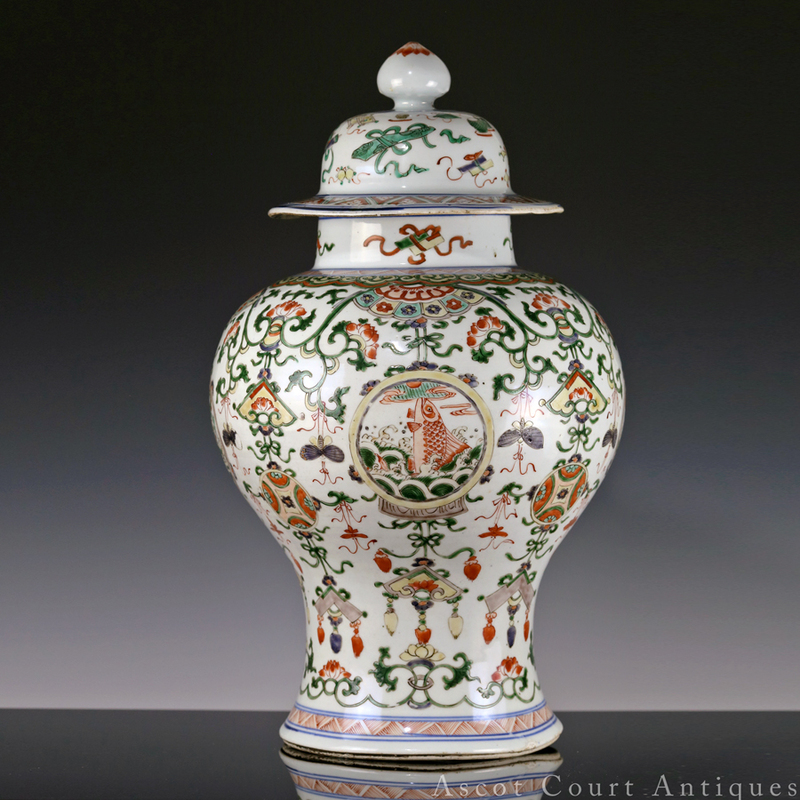 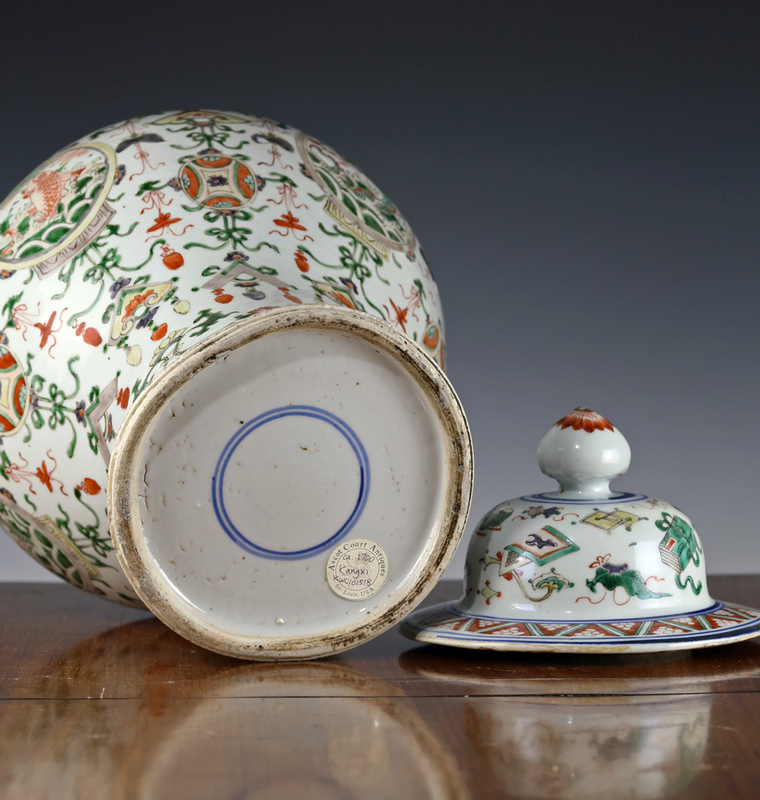 A large and magnificent Kangxi famille verte baluster jar, made in the middle of the reign ca. 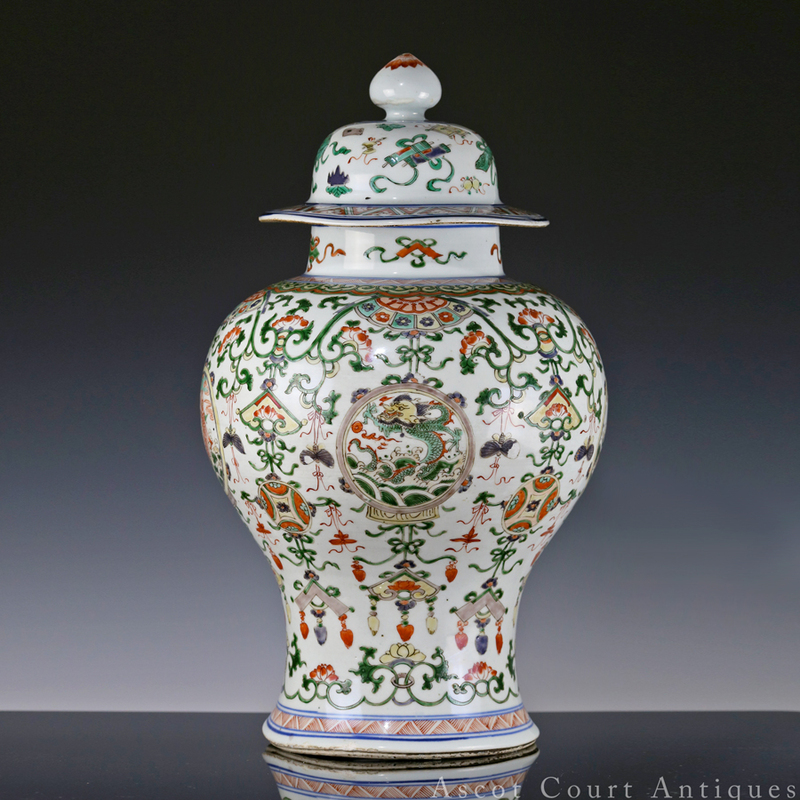 1700, and decorated with sinuous lotus scrolls interlinked with buddhist auspicious symbols and jewels. 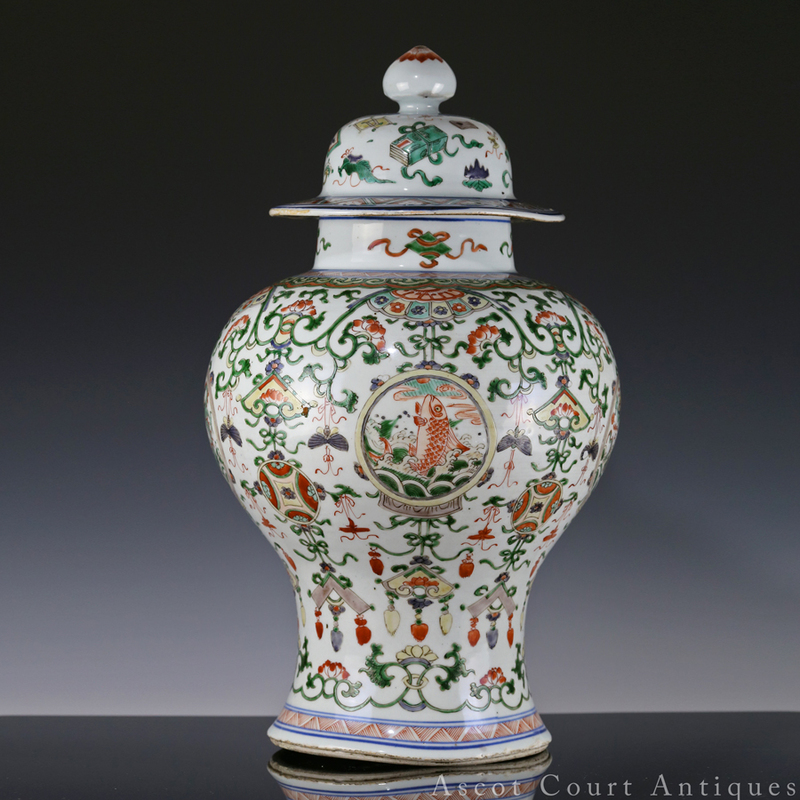 Four circular cartouches open to reveal alternating images of carps and four-clawed dragons, the depiction of the latter especially notable for its representation of the fierce Kangxi “demon-faced” dragon (guilian long). 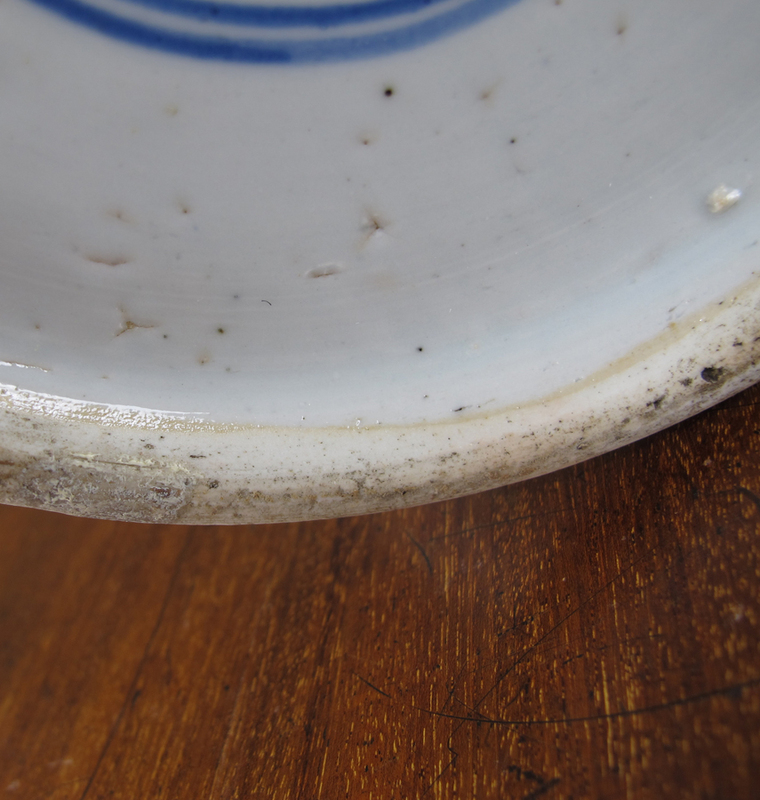 According to traditional belief, carps would swim up the Yellow River every third moon of the year. 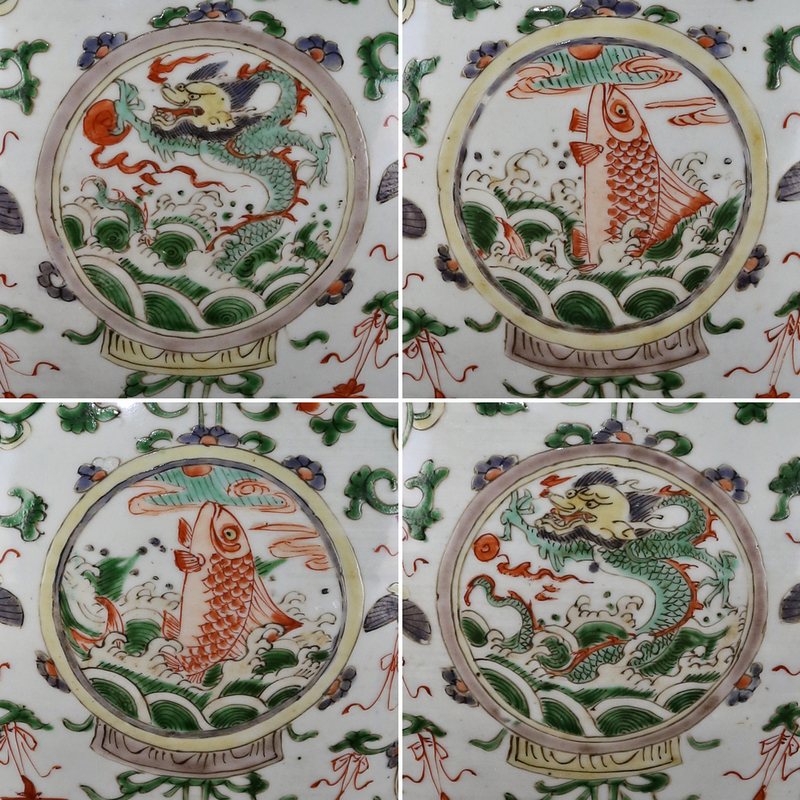 Those that succeeded in overcoming the rapids near Hunan (also known as the “dragon gate”) would be transformed into dragons. 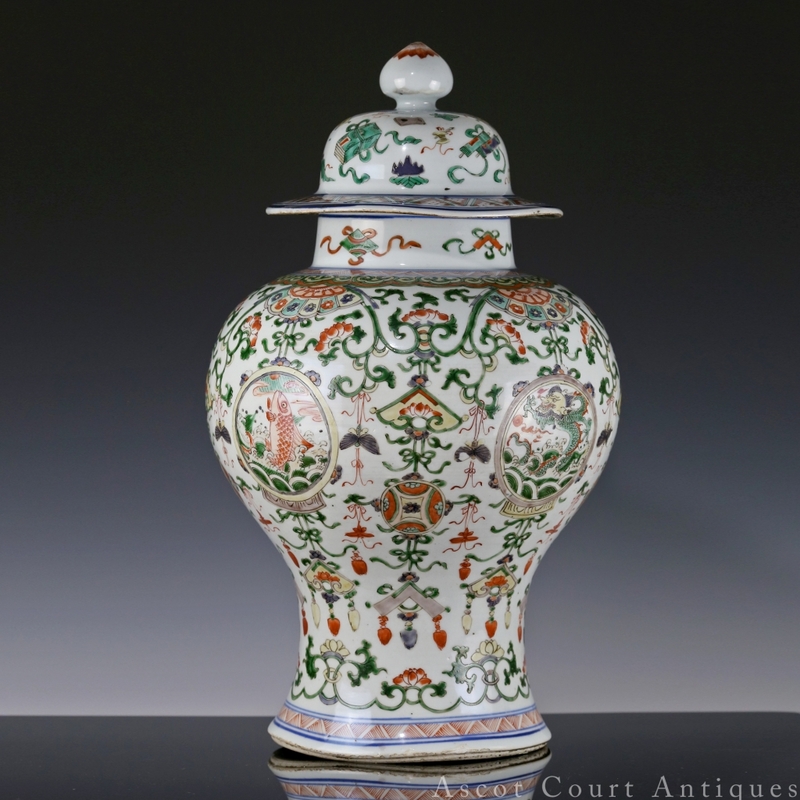 This baluster jar is also interesting in that its decorations appear much more stylized and pattern-oriented than earlier Kangxi wares, a change owing to the late Kangxi period court’s interest in European rococo motifs. 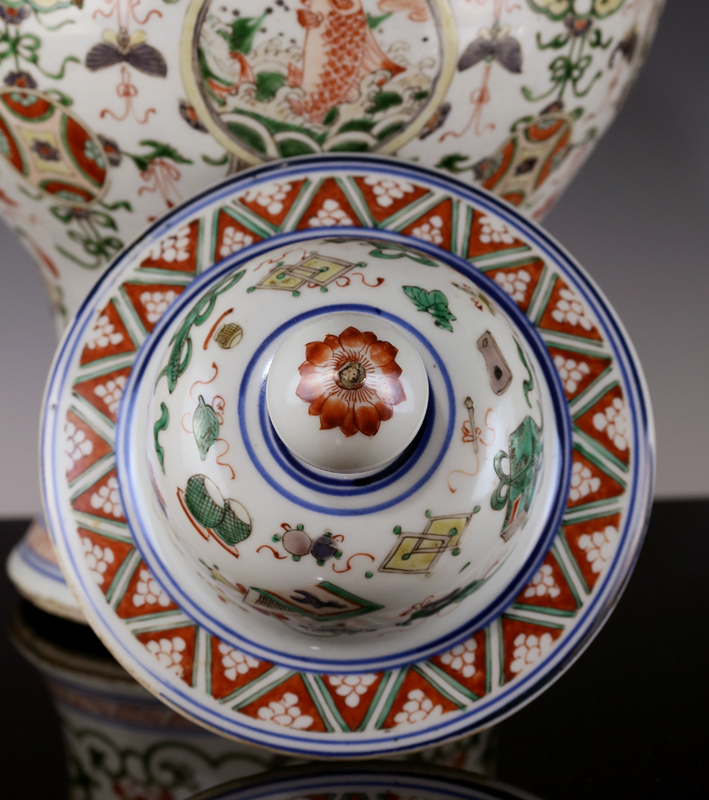 Its vivid, climbing scrolls foreshadow later Yongzheng and Qianlong famille rose wares and their scroll-laden surfaces.